Experts have weighed in on what leads to and causes teens to turn to cosmetic surgery at a certain age. Are you considering it? Is there something about your body you just wish you could change? What is it? Is your forehead too large, your lips too small, your nose too crooked – oh, your breasts are too flat and you call that a bum, I can’t even see it. To be honest, if you scrutinize every detail to find a fault, you will find a fault yet again, there is nothing imperfect. Who told you that a large forehead or a big nose is not the normal? And who said human ears are supposed to be flat? The point is, there is no model for the perfect human, no measurements as to what a person should be or not. What we see every day to be perfect is what the media, society or our peers reinforce as human perfection but if you look closely, you will see that even those images are distorted by photoshop, lighting or manipulation of some sort. There are beautiful people yes, but they are just people. Remember that the true essence of life does not revolve around what a person looks like. Are you considering getting cosmetic surgery simply for beautification, ask yourself why? Keep in mind that surgery not only changes you but that it is irreversible – you cannot get back what you looked like after surgery. It is also costly; will you dedicate your efforts to getting money to change yourself – what if you dedicated your efforts to getting money to use it for activities that will build you inside and out like taking a trip, donating or focus on things that make you feel beautiful inside. Surgery is also dangerous and can prove fatal, and even if you survive, it is not guaranteed that you will be happy with the end result. And even if you are, you will have to keep maintaining the surgery because it does not develop like the rest of your body. Are you willing to take all these risks? If you are ready to take these risks, then first consult a therapist to make sure that this surgery is not as a result of an underlying mental problem. Once you’ve done this, choose the correct surgeon; avoid fake surgeons by checking the result of the surgeons previous work. Only use a certified center and avoid choosing the cheapest option because this may hurt your body. Find others who have had surgery before and talk to them in person to get their opinion. Also listen to the opinions of your loved ones before you make the choice. Research heavily on the type of surgery you want until you know each procedure involved and how long it will take. Think about what you will be doing during the time your surgery is healing and how you will manage during recovery. Remember, there is no perfect beauty. 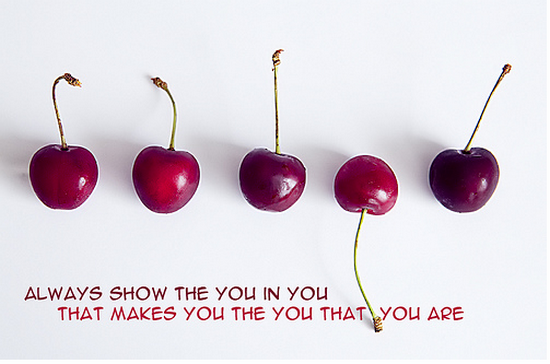 Love who you are and make decisions that will benefit you and your health in the long term. Be safe. This video was made with the voluntary assistance of students at St. George International School in Cologne.